Near the Grenssluis Frensdorferhaar in the Nordhorn-Almelo Kanaal the 6th August 2017 a shark was sighted by a fisherman. 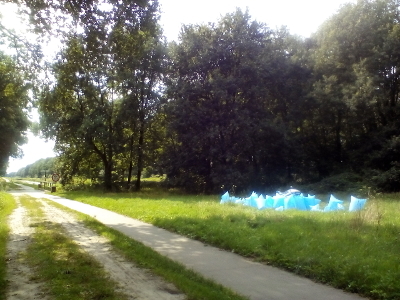 The animal of over 2 meter length appeared to cross the border near the Zöllnerhaus Nordhorn. 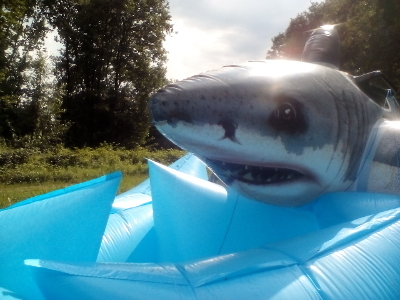 Although the shark caused some excitement among visitors of the Kanalenfest in Nordhorn, it endangered neither humans nor animals. In the evening it disappeared; probably caused by lack of water.